Made it to Madrid now. Center of Madrid , center of Spain. 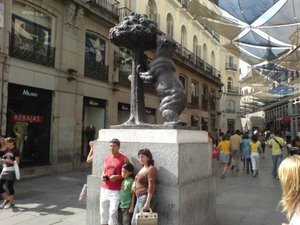 This is the Hachiko of Madrid , the meeting spot. Temperate weather. Lots of shoe shops.